Viva Tirado | Brad's All Vinyl Finds! 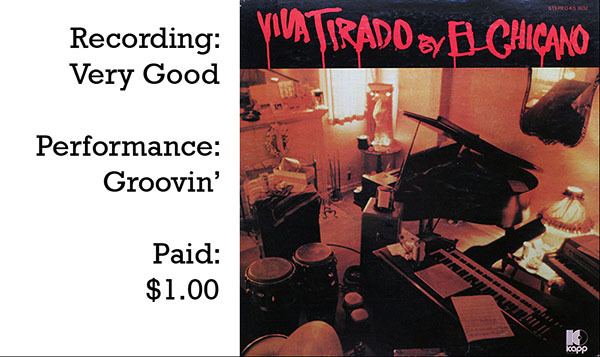 I’ve been looking for El Chicano’s first record, Viva Tirado, for years. It finally turned up in the dollar bin at The Thrift Box, a thrift store in the Willow Glen area of San Jose, CA. The LP (Kapp KS 3632) is all instrumental covers.